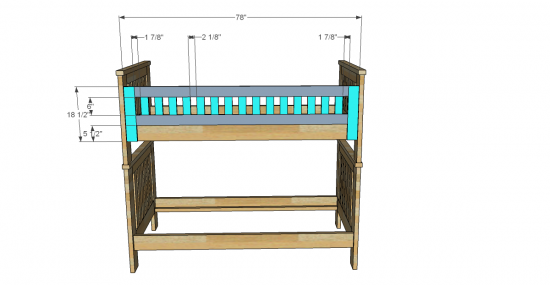 I’m so excited to introduce a new collection and first on the list is the Kenwood Collection Inspired by the Restoration Hardware collection of a similar name, and this absolutely fabulous bunk bed project! Kreg Jig– if you build frequently, invest in this one. Frame out the Head and Foot Boards: You will need 2 of each pictured here. Use your Kreg Jig set for 1 1/2″ stock and your 2 1/2″ pocket hole screws and glue to secure. Secure the Slats for one side of Each Head/Foot Board: Use your Kreg Jig set for 3/4″ stock and your 1 1/4″ pocket hole screws and glue. 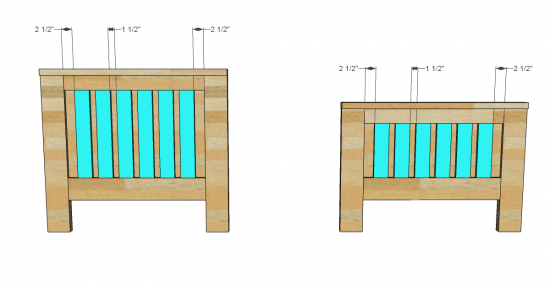 This first round of slats will sit flush with the Legs and Rails on one side of the Head/Foot Boards, leaving space on the other side for the remaining slats. You will ultimately end up with 2 rows of slats here that stagger. Tack on the Top Boards: Use 2″ Wood Screws and Glue to secure the top boards to each Head/Foot Board for both the upper and lower units. Be sure to countersink these screws. Fasten the Remaining Slats in Place: These will stagger in comparison to the slats you have already fastened in place and to secure you will use your Kreg Jig set for 3/4″ stock and your 1 1/4″ pocket hole screws and glue. 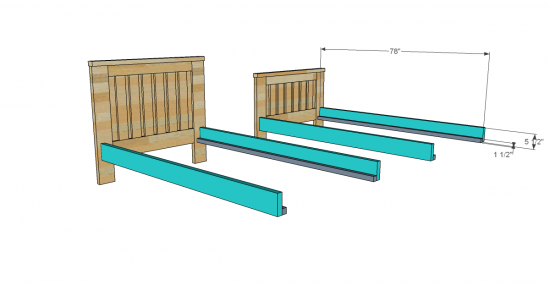 Create the Bed Rails and Then Secure: The Bed Rails will be 2×6’s with 2×2 cleats fastened along the bottom edges. Secure in place using 2″ wood screws and glue, and be sure both pieces sit flush on the bottom edge. To fasten the Bed Rails to the Head/Foot Boards use your Kreg Jig set for 1 1/2″ stock and your 2 1/2″ pocket hole screws and glue to secure. The bottom edge of the Rails will sit 8″ up from the bottom of the legs and will sit flush with the bottom boards on the Head/Foot boards. Tack down your Slats: Use 1 1/4″ wood screws and glue to fasten the supporting slats to the cleats. 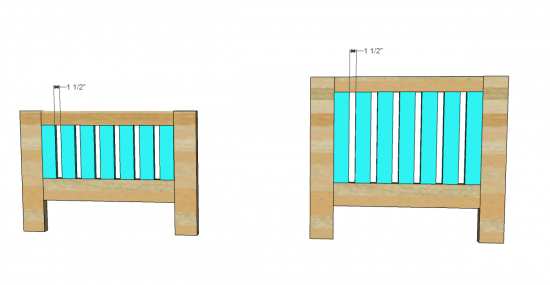 This will act as a box spring of sorts for your mattresses, so you won’t be needing box springs for this project. 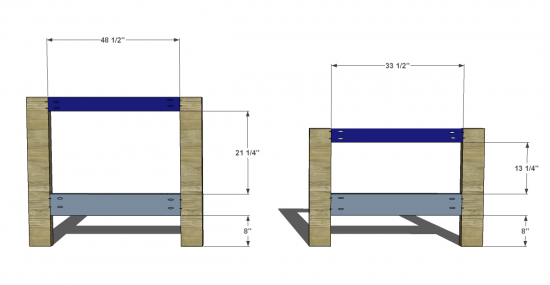 Add the Short Guard Rail to the Top Bunk Unit (the one with shorter head/foot boards): Build the Guard Rail using your Kreg Jig set for 3/4″ stock and your 1 1/4″ pocket hole screws and glue. You will place your pocket holes in the horizontal Rails, fastening them to the Vertical Legs of the unit, and also in the Slats fastening them to the Horizontal Rails. 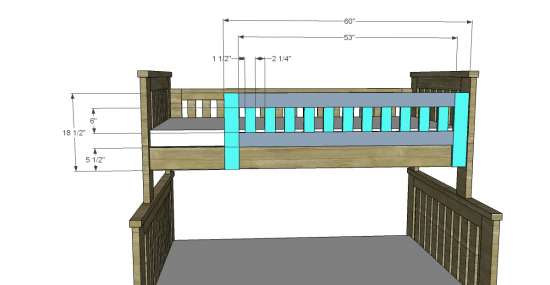 Then fasten the Guard Rail Unit to the Bed by securing it to the Bed Rails and to the Foot Board. Use your 2″ wood screws and glue to secure to the Rail and your Kreg Jig set for 3/4″ stock and your 1 1/4″ pocket hole screws and glue to fasten to the Foot Board. Stack the Units: To do this you will need to bore a hole in the Top of the Bottom Unit Legs and in the Bottom of the Top Unit Legs that is 1″ in diameter and 2 1/2″ deep. Set your dowels into the bottom unit hole, then lift (carefully) the Top unit on top of the bottom unit and set onto the dowels that are sticking out. This is how you keep them stacked, but note that you can, at any time, un-stack them and use them as 2 individual beds. Build the Ladder: Note that the outer corners of the ladder are angled for safety. You can use your Kreg Jig set for 3/4″ stock and your 1 1/4″ pocket hole screws and glue. Secure the Ladder to the Bunk in the same manner by using your Kreg Jig to secure the ladder to both the Top and Bottom Unit Rails. 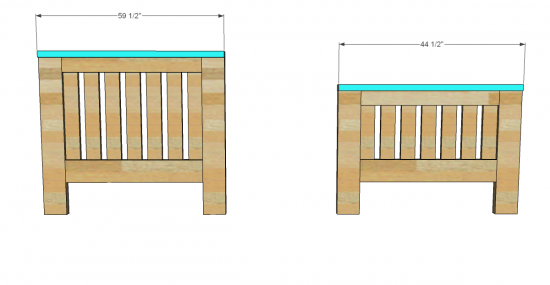 You can also use your 2″ wood screws and glue to secure from the inside of the Rails. 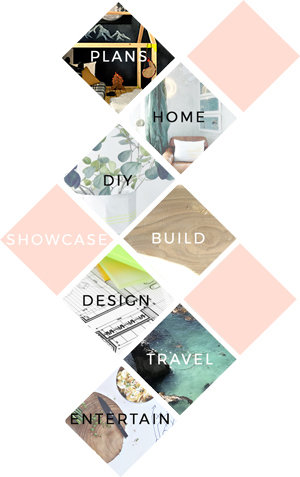 First of all, love your site. Really impressive the time and effort you put into these plans and site. Im a little confused with these plans. 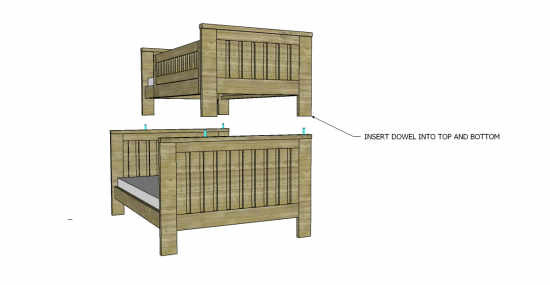 They claim to be for twin bed over twin bed but the plans and pictures appear to be a twin bed over a double bed. Just want to make sure before I proceed. This plan is definitely for a twin over twin, so not to worry, BUT it does indeed appear a couple of the images have managed to get crazy on us. Luckily they are simply showing the means of stacking the beds and are not something that will alter the building process. You are good to go! I will see if I can’t track down the proper images for the couple that are out of place!